Click the images below to take you to the gallery filled with 100 photos from the premiere. 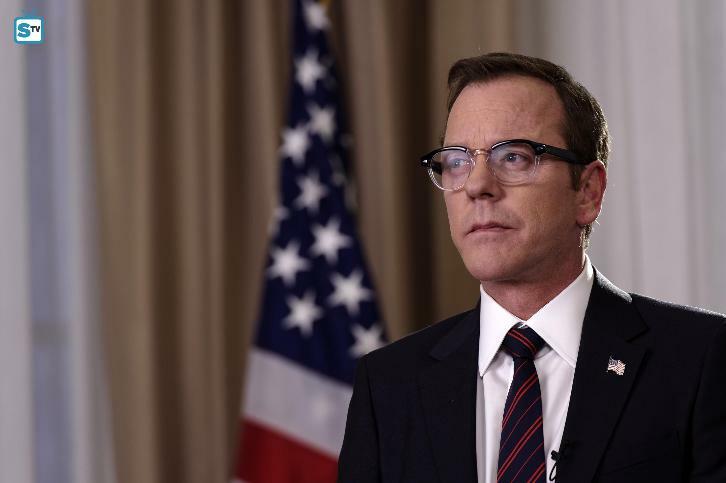 “Pilot” – Kiefer Sutherland stars as Tom Kirkman, a lower-level cabinet member who is suddenly appointed President of the United States after a catastrophic attack on the U.S. Capitol during the State of the Union, on the highly anticipated ABC series “Designated Survivor,” airing WEDNESDAY, SEPTEMBER 21 (10:00—11:00 p.m. EDT). In this dramatic thriller, Kirkman will struggle to keep the country and his own family from falling apart, while navigating the highly volatile political arena and while leading the search to find who is responsible for the attack. “Designated Survivor” stars Kiefer Sutherland as Tom Kirkman, Natascha McElhone as Alex Kirkman, Adan Canto as Aaron Shore, Italia Ricci as Emily Rhodes, LaMonica Garrett as Mike Ritter with Kal Penn as Seth Wright and Maggie Q as Hannah Wells. Guest starring Tanner Buchanan as Leo Kirkman, McKenna Grace as Penny Kirkman, Kevin R. McNally as Harris Cochrane, Malik Yoba as Jason Atwood, Arjay Smith as Nolan, Alex Quijano as Lawrence, Richard Bekins as President Richmond, Elias Zarou as Ambassador Ahmed Fayad, Peter Outerbridge as Charlie Langdon, Rothaford Gray as Acting Defense Secretary, Krista Morin as Acting FBI Director, Catherine Tait as Acting Health & Human Resources Secretary, Matthew Olver as Acting Transportation Secretary, Michael Kinney as Acting Treasury Secretary, Dan MacKay as Air Force Major, Doug MacLeod as Acting Secretary of State, Robin Cunningham as Major Scott Cameron, Darlene Cooke as DC Appellate Judge and Tyler Burton as Caleb West. “Pilot” was written by David Guggenheim and directed by Paul McGuigan.